When you google the term sure-footed, words like competent and confident instantly pop up—clear evidence that your shoes may be the most important things you put on today. So now that we've entered prime sandal season, we figured it was right about time to find the perfect pair to wear to work too. Of course, the ideal office sandals are polished, comfortable (no stilettos here), and durable. Still, there should always be something that makes them interesting or fashion-forward, like maybe a woven detail or sleek strap. To make things a little easier, we dove into the challenge of finding the best of the best and sorted them by heel height, starting at totally flat and heading right on up. So go on—head straight for the style you're looking for, and just know you'll be comfortable, no matter which sandals you choose. Shop our favorite office-worthy (and pain-free) sandals below! For anyone who walks to work, these sandals will keep your feet comfy through your commute. Simple raffia sandals get a sophisticated upgrade with these pretty sandals. 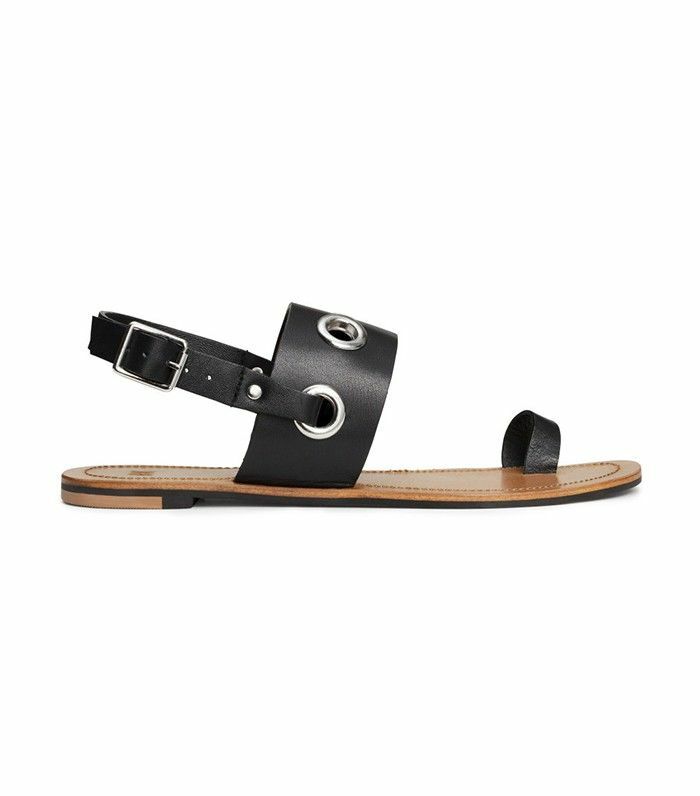 Try styling these sleek black sandals with jeans and a lightweight white top. A pair of statement sandals that are still super comfortable is a great treat to yourself. Monk-strap details on these monochrome slides add a cool touch, and the backless design guarantees no blisters. If you're looking for something a little different, these structural COS sandals are a cool choice. Simple light sandals with espadrille-inspired detailing are made to be worn with a simple white dress. While gold may not be your typical hue for footwear, these eye-catching mules would look great styled with a simple black dress or jeans. 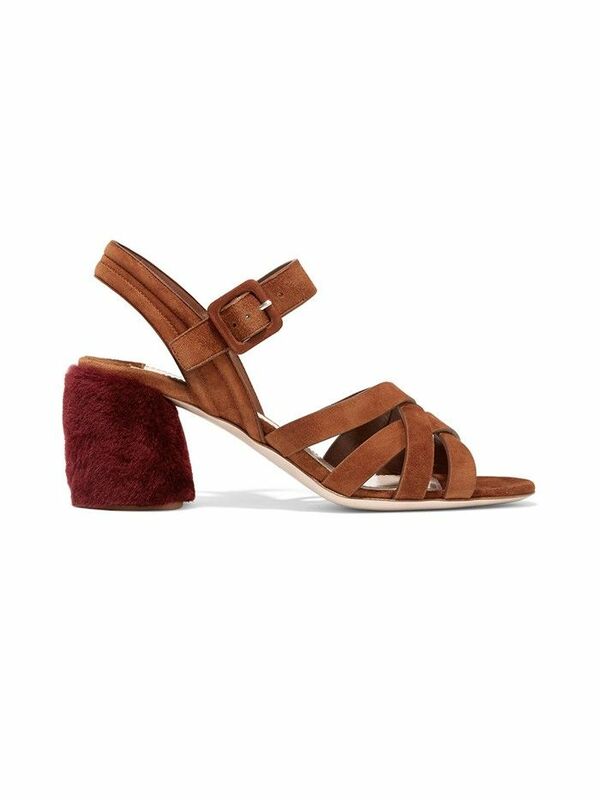 You'll fall in love with these pretty mules, and your feet will be happy too! These polished sandals are great for day-to-night dressing. Just swap your work wardrobe for a flirty midi dress. Add a punch of color to your usual work ensemble with these low heels. If you're daring to try a more adventurous look, these lace-up sandals feel perfectly fancy. A little tassel detail adds a hint of fun to these low heels while still feeling office appropriate. For those who consider their signature look more feminine, these pretty shoes are a must. Mixing things up with standout heels is a great way to add a little extra flair to your look without going too bold. More of a tennis shoe person? Here's how to wear your sneakers to work!